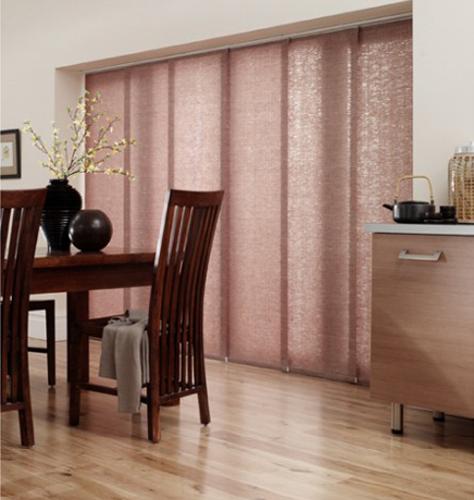 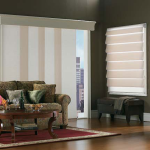 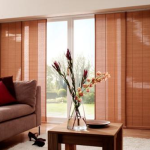 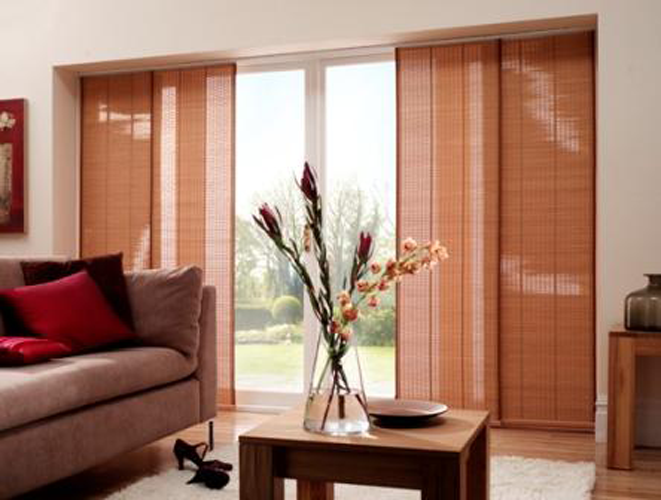 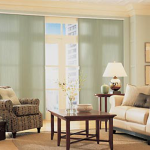 Panel tracks – sometimes simply referred to as panel shades – are an elegant alternative to the classic vertical blind. 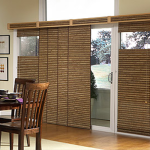 Because they slide horizontally, they are perfectly suited for patio doors, door walls and large windows. 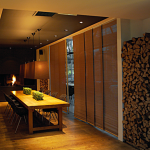 Panel tracks are also frequently used as attractive room dividers. 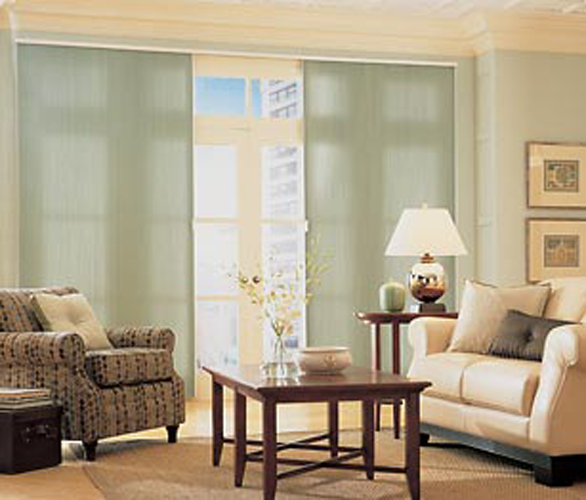 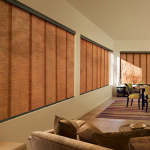 Because panel tracks are available in a vast choice of fabrics and natural woven materials, panel track shades can fit any decor and can coordinate beautifully with other types of drapes, blinds and shades. 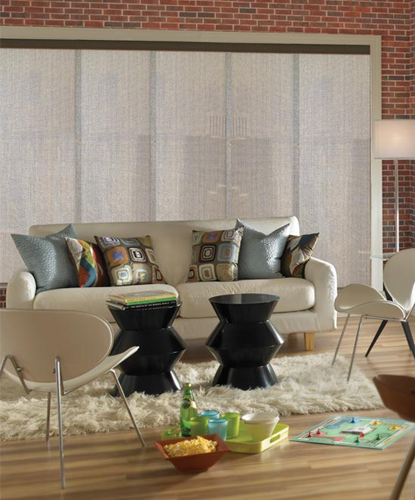 Various degrees of transparency allow you to select the amount of light and visibility you desire in your panel shades. 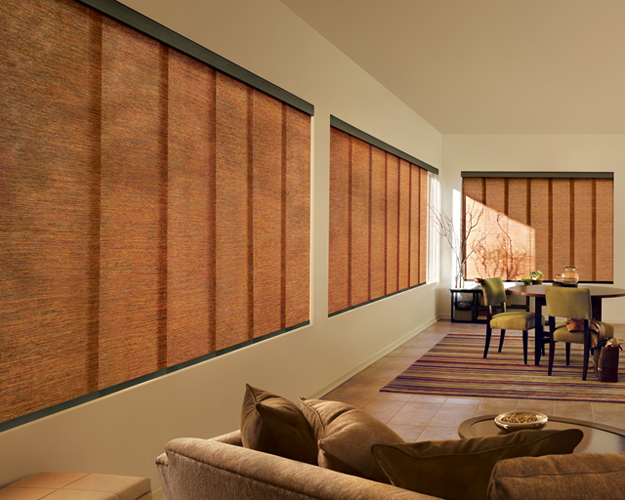 From virtually see-through sheer panels, to room-darkening lined panels – you are in control! 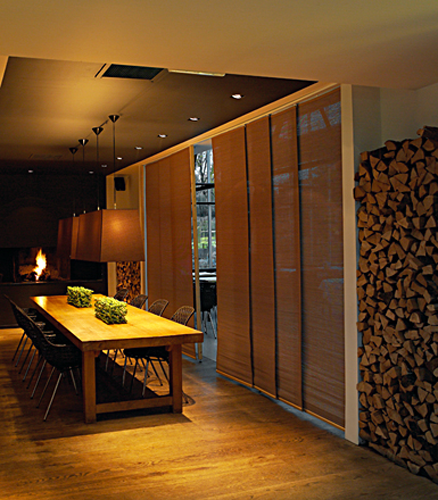 More austere panel tracks, inspired by Japanese Soji screens, offer a clean and contemporary feel – while woven woods and other natural fabric create a more warm and casual atmosphere. 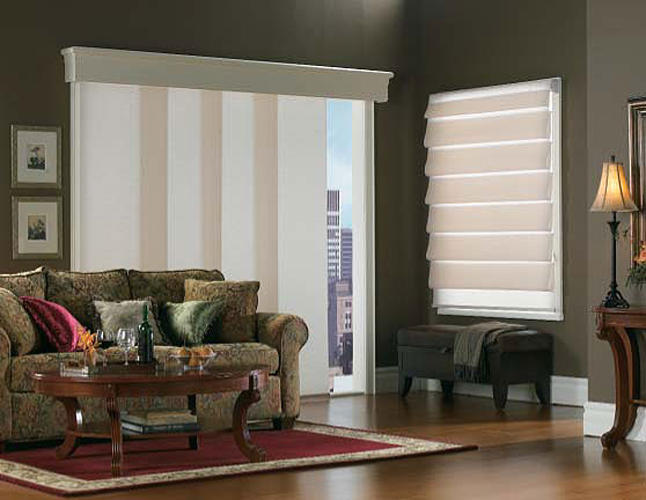 Or select from a wide range of colors to add design splash to any room! 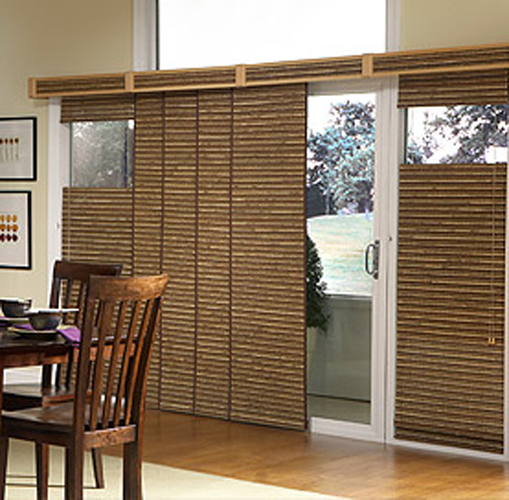 Call for an in-home or in-showroom appointment to see the wide array of panel track options that we offer for your doors and windows.